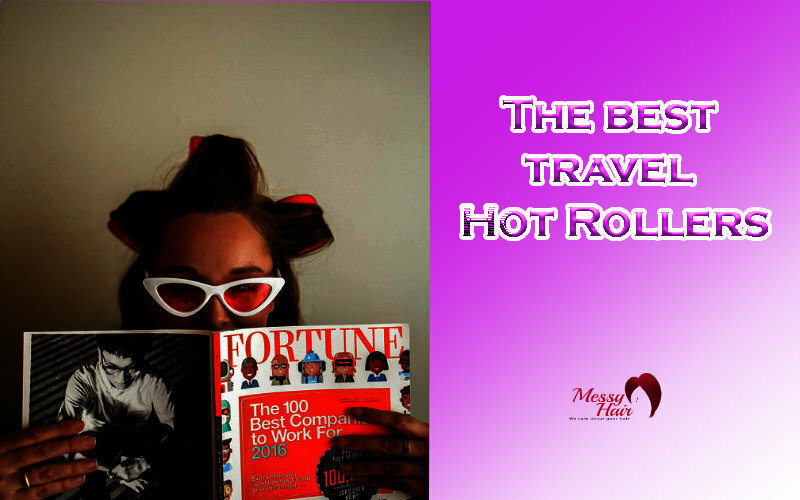 Travel hot rollers are one of the most popular inventions of the past few years. Hot rollers alone have been invented about 30 years ago, we know, but travel hot rollers got serious in 2017. It’s important to have a practical, quick-to-use product, but it’s even more important that it uses top technology: otherwise your hair gets damaged and that’s not something you want to do. We have done our research on travel rollers and have learned about important characteristics, so we decided to show you the list with 9 products we would recommend. However, if you want to get to know the science behind all of this, you may want to check out the guide we have made under the products. Remington is one of the most famous companies in the world when it comes to hair products and hair styling ideas. They have created a bunch of different hot roller variations, but this one is surely the best for traveling. Why? The model is very compact. You get the case that heats the rollers and it’s a great “cosmetic bag” alternative since it holds the rollers in place well. It doesn’t take much space and you won’t have issues with moving it around. The rollers work without damaging your hair, thanks to the ionic and ceramic technology. In the set, you are getting 10 rollers in 2 sizes: 5 large ones and 5 medium ones. Besides rollers and the practical case, you are getting J-clips which are made to secure the rollers in the hair and help you achieve the perfect hairstyle even when you’re moving around. Worldwide voltage is one of the most important things to look for when you are getting a set of hot rollers for traveling purposes! You don’t have to worry about bringing around a converter, just plug the set in wherever you want. This set is one of the better-looking ones and it could make a great gift for your wife, daughter, sister or friend. The wonderful colors that differentiate two roller sizes let you know how to distribute the “curls” over your hair. Conair made this great set that heats up in minutes and it distributes the heat evenly! The compact case is made of soft fabric and it’s great to use for storage, as well as a cosmetic case for the rollers. If you wish to create make the set heat up quickly, you can close the lid. You are getting 12 rollers that are made in 2 sizes: 8 large pieces and 4 smaller ones. This is why these rollers will be better for someone with longer hair. These work on dual voltage as well and you can plug them in any hotel you wish. You can even switch continents without any worries! With the set you are getting J clips which secure the rollers and you can even move around, cook and have fun while your hairstyle is getting all neat and beautiful. Conair made various hot roller sets, but this one is one of the elegant looking models made to be traveled with. It’s a small, compact base with 5 jumbo rollers that create volume and waves in no time. The stay-cool ends are a great touch since they help you stay safe even when you’re in a bit of a rush (trips maybe?). The soft, zippered pouch holds the rollers while they are heating. This model works on dual voltage which means that you can go anywhere in the world and still look fabulous! Heat protection is also a big factor here, you can use the device with any hair type. The cord is 5-feet long and the rollers need only 2 minutes to heat up, which means that they are really “to-go rollers” for those who like to move around. Don’t worry about the clips, you are getting them as well! Revlon is a famous company that you may see in various magazines. They deal with hair issues and therefore they always use the best technology to ensure your hair’s health. These travel size hot rollers work with safe technology: the tourmaline ionic technology. You don’t have to fear that you may lack smoothness, shine or silkiness. Forget about frizzy hair, though! The dot indicators on the rollers are a great way to find out whether the rollers are hot enough or not and when did they cool down. With the rollers, you are getting J clips and a travel storage pouch as well! This product works on dual voltage and you can travel around the world with it without any fear of electrical issues. You are getting 10 rollers and they all have a triple ceramic coating that will keep your hair healthy and fresh. This set is the go-to set for many people who are looking for a fancy gift. The all-pink girly design is a great advantage when it comes to buying a present for your significant other, your daughter, sister or friend. Conair created these as a compact set, they are hot rollers for travel. You are getting 10 rollers: 4 medium ones, 3 large ones and 3 jumbo ones. Besides that, you are getting clips and a soft pouch that will hold the rollers when you are not using them. Only 90 seconds is enough for these rollers to heat up and they work on dual voltage, which means that you can carry them with you everywhere you go. You can be that fearless business woman that has beautiful volume in her hair daily. You can put this in a bag, in a gym bag, in your backpack or your suitcase. It fits everywhere! Calista’s beautiful looking products are often used in salons, but you can use them at home for a premium experience as well. This set is a great-looking gift and it can be a perfect travel companion too. You are getting 12 rollers that are in different sizes! They all have a dot on the top which indicates if the roller is heated, if it isn’t heated at all or when it on low heat. With the set, you are getting a premium looking black bag which you can carry around with you. The butterfly clips you will also be given are used to secure the rollers in hair so they don’t move around. This set works on ionic technology, which means that your hair will retain the moisture it has and that it will stay healthy, silky and smooth. No frizziness allowed! Calista has been creating rollers for over 25 years and they have two temperature setting as well as three sizes. This is the result of them contacting and working with their customers, so they know what they need to work on. BaBylissPRO is one of the most popular companies in the world when it comes to hair products. They have created this hot rollers travel set that works on dual voltage because they know that many women have to bring their hot rollers around with them. The set can thank titanium technology for the silky, hydrating effect it leaves on the hair. You are getting ten rollers that distribute the heat very evenly and you can therefore experience gentle, yet effective styling. The beautiful bag will help you bring the rollers around when you are traveling or even going to work. It is a black bag with a transparent top. This set works on dual voltage which means, once again, that you can plug the set in anywhere you want and it will still work perfectly, no technical issues whatsoever. This is especially important for those that like to “switch continents”. If you are looking for the best hot rollers for travel, this set may be worth your time. It is a pretty cheap set, but it delivers a great experience. You are getting hot curlers that create bouncy, large curls. They have indicators on top of them and they let you know when they are heated. The heat can sometimes be an issue, though. However, these have cool touch tips and they stay cool so you will be safe and sound when you are using them. There is an on/off indicator light that lets you know is everything okay with the base. With the curlers, you are getting clips that are designed to fit the rollers perfectly, and they will keep them secure. This means that you can move around easily and even multitask. You are getting two different sizes so you can create more volume in your hair. You have not seen anything like this on this list. Calista, as we have previously mentioned, often created professional products. These are a pricey piece, but they are surely worth the hype. In this set, you are getting 12 long hot rollers. They are made to create long curls and they work on ionic technology, just like your regular hot rollers. They get fully heated in under 3 minutes and you are getting 12 hair clips with them so you can secure the rollers. With the set, you will get an instructional booklet which will let you know how you should treat your hair based on your hair type. The rollers have “teeth” which means that they grind to the hair much better and this makes them beginner friendly. Let us talk a bit about the important characteristics of hot rollers set. We will focus on the fact that they are travel sets and will mention a few tips as well. Quantity is important. Even if it seems like you “don’t need that many rollers”, many women with thick hair find out that they need more than 8 rollers, but they find it out while trying out the new set they already bought. It would be a good idea to spread the hair into sections before you are buying the rollers, just so you know that you will have enough. Travel bags are very practical. The fact that you can store all of the rollers and the clips are much more important when you are constantly moving around. Clips. This is very important for women that like to move around and multitask. When we are traveling, our routine is often a bit “messed up” and we are on the move all of the time. This is why J-clips or butterfly clips are a great idea. Dual voltage makes your life easier. Although you can always use a converter, it is easier to have a set that has dual voltage. This means that you can plug the set in anywhere you want: any continent, any hotel, and any state. Travel hot rollers are popular for a reason. They are a great way to get a cute hairstyle quickly and they can be a great way to look good even when you are on the move. The technology they work on has improved significantly and now you can get a healthy hairstyle even when you are traveling. We cannot tell you what the best travel hot rollers are, but our advice would be to check out our list and to read the reviews. 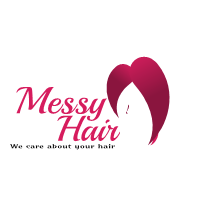 This way you can find people that have similar hair and see how the product worked for them.